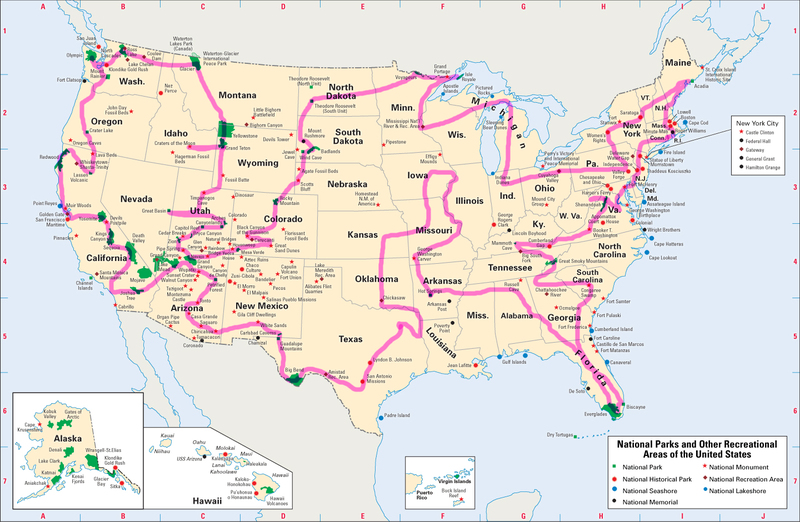 Well, if everything goes according to plan, and the Lord is willing, and the van is cooperating…here is the proposed route for all 48 national parks to be completed in the year 2015! Dallas to Hot Springs (via the western round-about route!) will take me from January 1 to December 25. I’ve appended Hot Springs to Dallas through the midwest states, in order to complete all 48 states in close to a year as well!